Yes, it's true and I share so with pride...I am an Atlanta Braves fan! 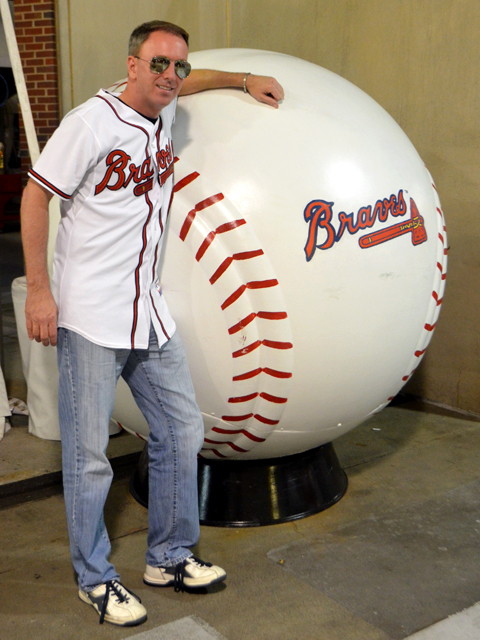 And have been since my pro baseball game in 1990. The first game I attended, in 1990, was the year before the Braves started winning pennant after pennant after pennant—and a World Series. 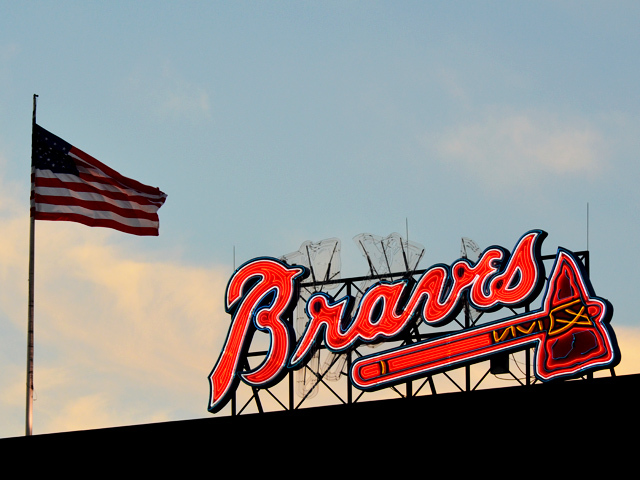 I was never a sports guy growing up, but the Braves changed that for me. Now I enjoy baseball, soccer, rugby, and play the occasional tennis and golf game. 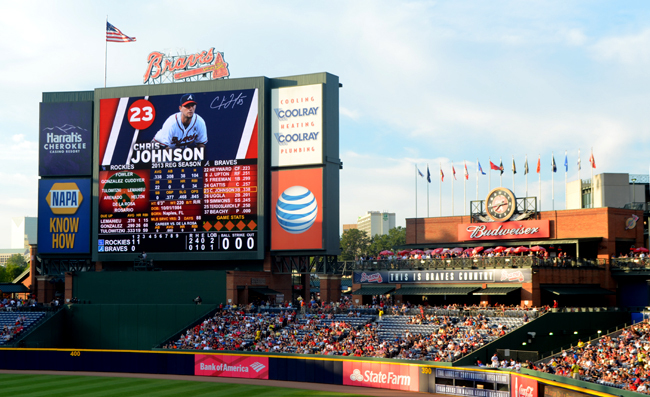 There's a lot going on at Turner Field, although this particular night was all about the game...a game the Braves won 9-8. Admittedly, I'm not up on the players as well as I once was. 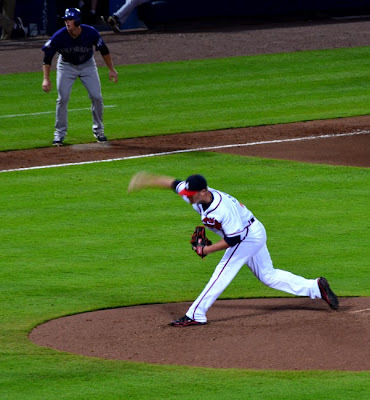 I totally remember Javier Lopez and funny enough he moved to the Baltimore Orioles when I lived in Washington, D.C. 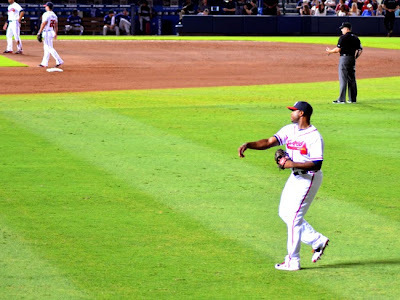 But, of course I was always a fan of the home team, so when I lived in DC, I supported the Nats...the Washington Nationals, but my love for the Braves never went away. 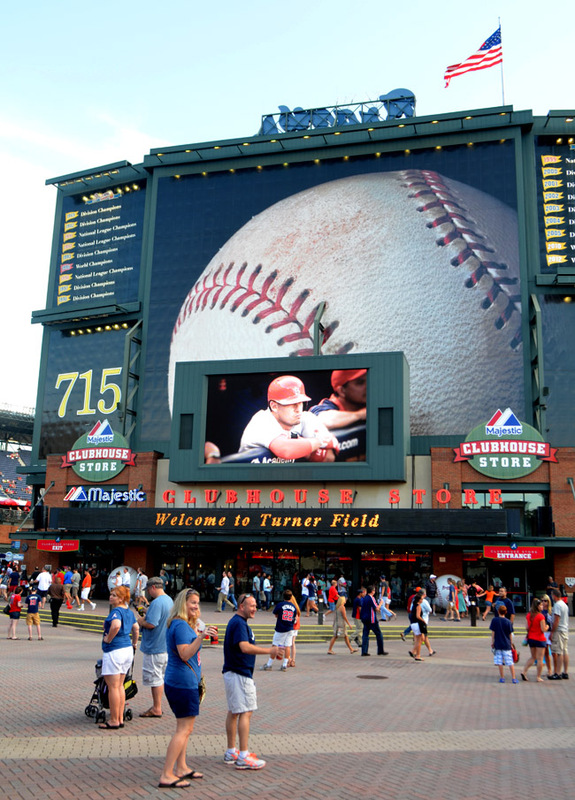 I've toured Turner Field—a fantastic tour by the way—and there tons to see. 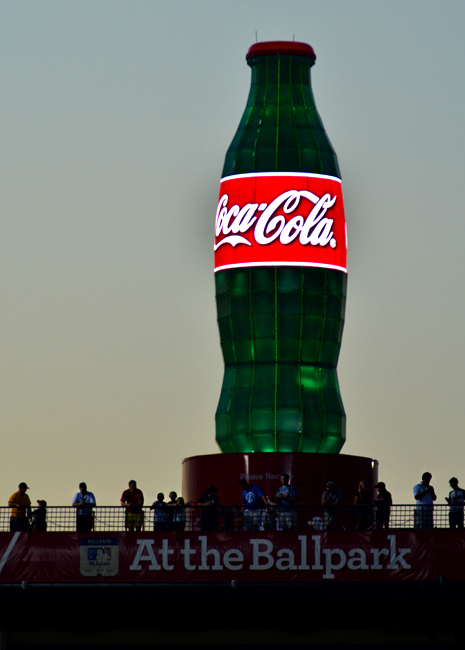 This brilliant Coca-Cola bottle on the Coca-Cola Sky Field is amazing! the label on the bottle is a video screen...that erupts in siren lights when we score or who's-up-next. Glad to see Coca-Cola supporting the Braves! 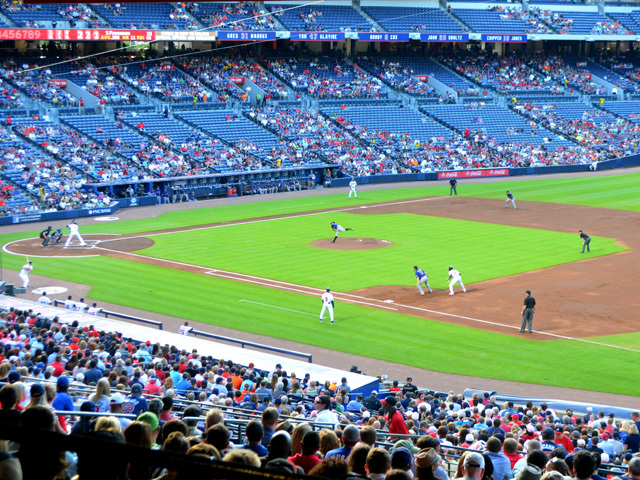 It was great to be back at Turner Field...I've missed baseball. So glad to see so many out on a Monday night (this game was Monday, July 29, 2013, playing the Colorado Rockies). 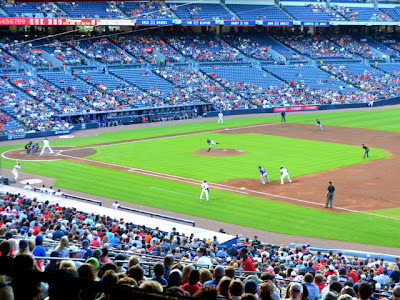 If you're visiting Atlanta during baseball season, definitely consider a Braves game. And be sure you explore the Field...there's lots going on! Really...check out the tours! The parents of one of the friends I was there with was also there and they had field-side seats. 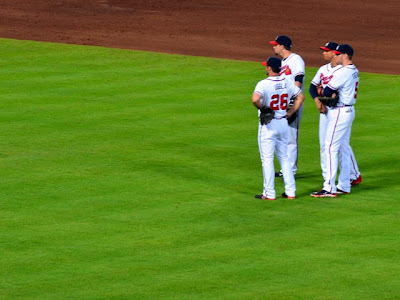 I helped her bring dogs, pretzels, and beer to them, thus a great field view. Granted my own seats were pretty amazing. And you gotta love how much fun Turner Field has with the Jumbotron! The fan sightings between innings are brilliant! Go Braves! A mantra I'll chant at games for years to come, for sure. Now then, if you find yourself searching for a game to attend and your schedule is pretty open, try to go on a Friday night...they do fireworks after the game! 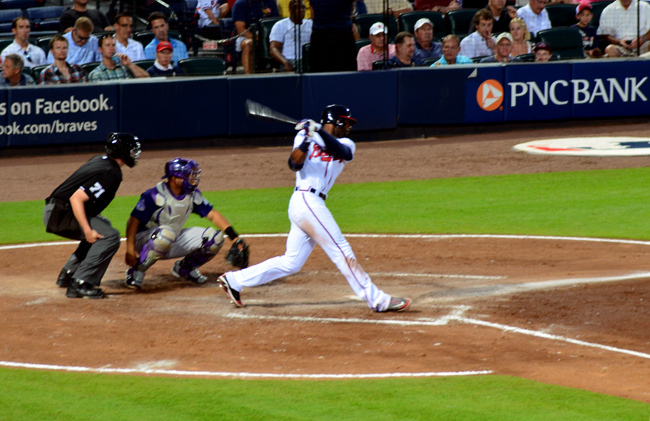 Been to an Atlanta Braves game lately?